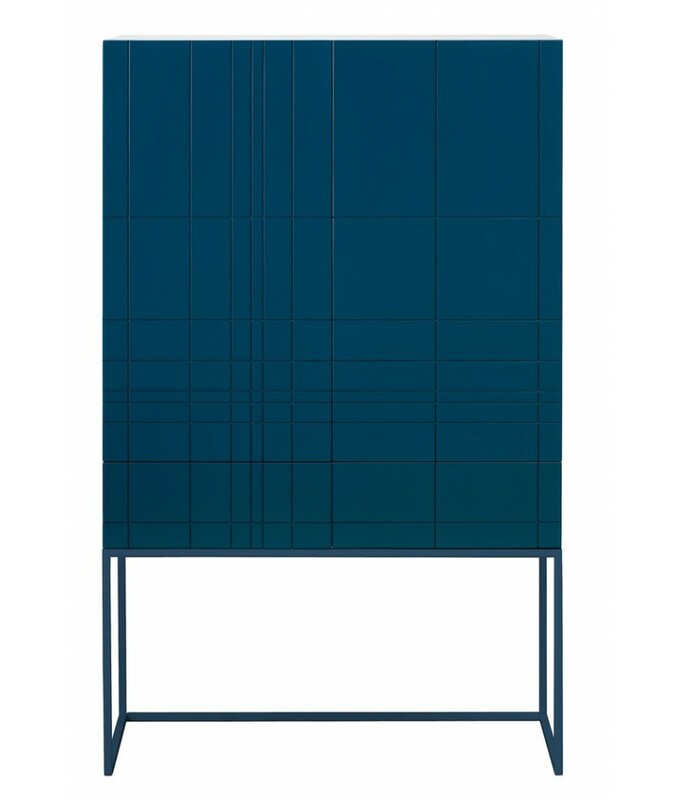 Design, Claesson Koivisto Rune, 2012. 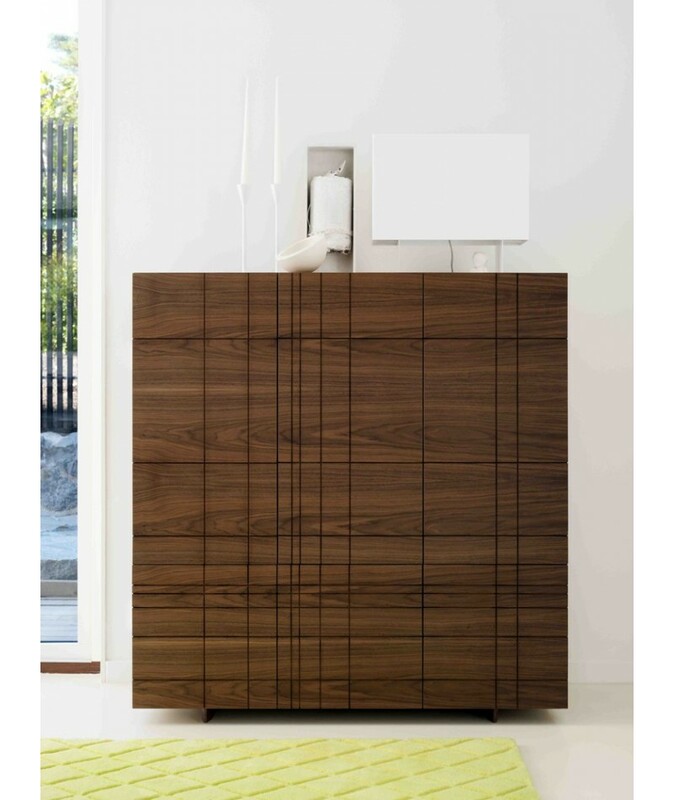 Kilt is a high chest in colour lacquered medium wood with 2 doors and 2 deep drawers in width 90 cm resting on a metallic socket (also in lacq.colour) - Can be used without socket. 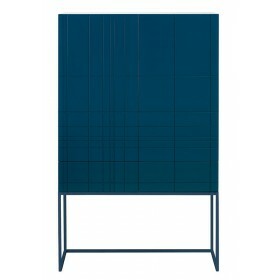 Design, Claesson Koivisto Rune, 2012. 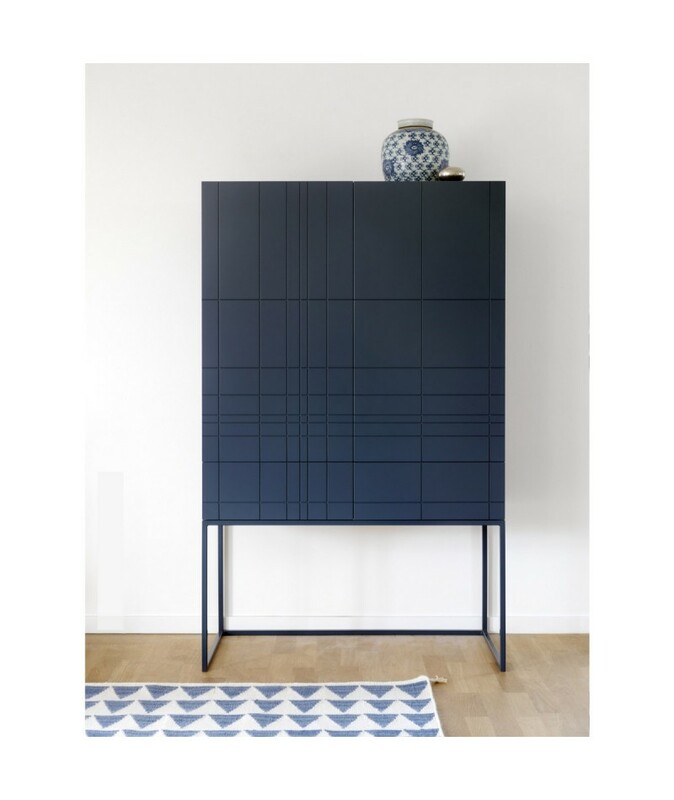 High Chest in colour lacquered Medium wood with 2 doors and 2 deep drawers in width 90 cm resting on a metallic socket (also in lacq.colour) - Can be used without socket. Inside of the drawers are made in massive oak. 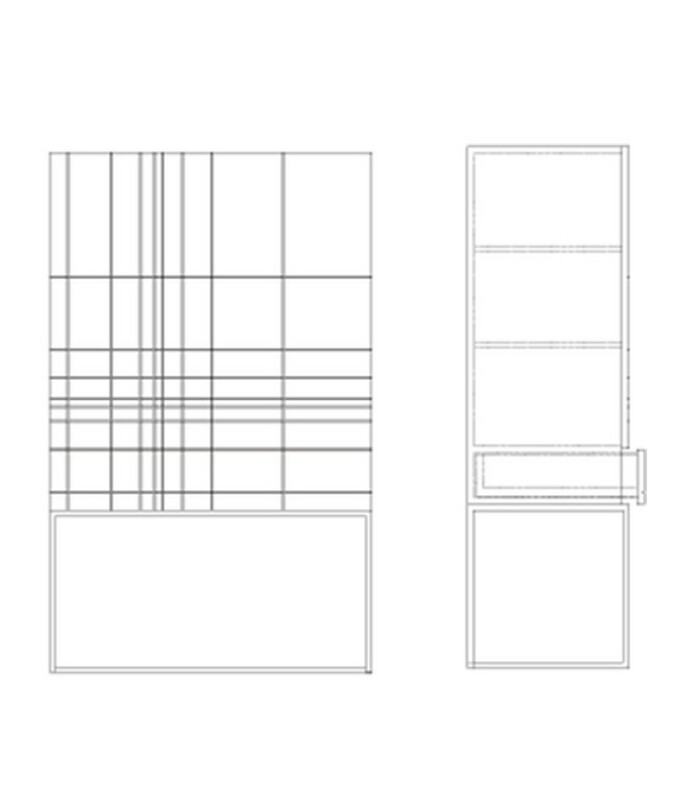 The front panels are designed with " tartan " pattern that hides both doors and drawers lines. 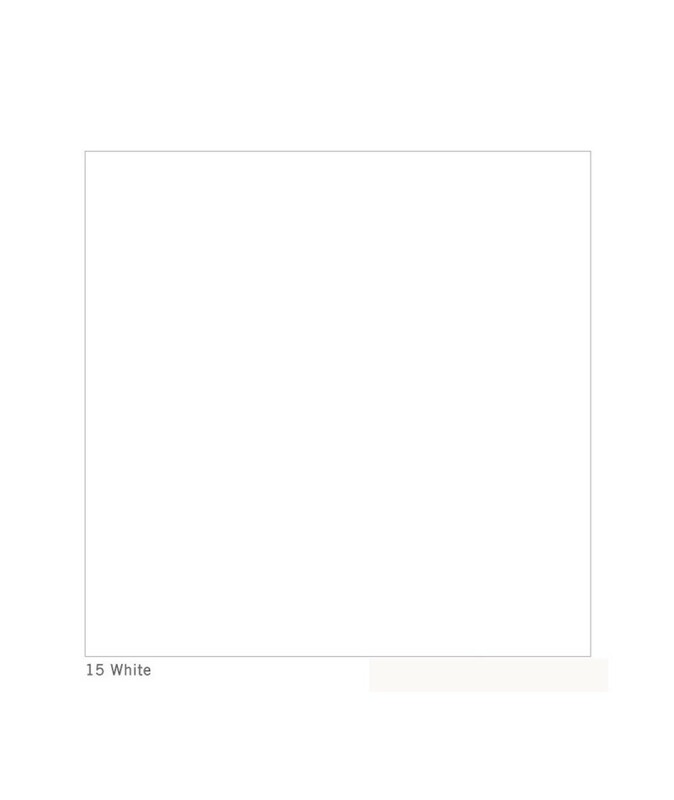 This design is pure and light looking. KILT is a perfect harmony with his ultra-thin metallic socket wich is giving space to the room and the height of the doors wich is easy and quick to use for everybody and for every use as a chest in a bedroom or to be used as a storage unit in the lounge room. 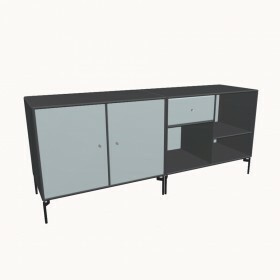 The doors comes with silent system snap-on-door buffer as the drawers comes with soft close hinges for a silent closure. Adjustable shelving system in heigth and length, comprises a base part with 2 horizontal shelves and separations, partition walls slide easily horizontally. Assembly 2 shelves in solid wood. 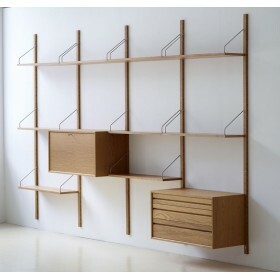 Wall shelves in solid wood. Optional stand. 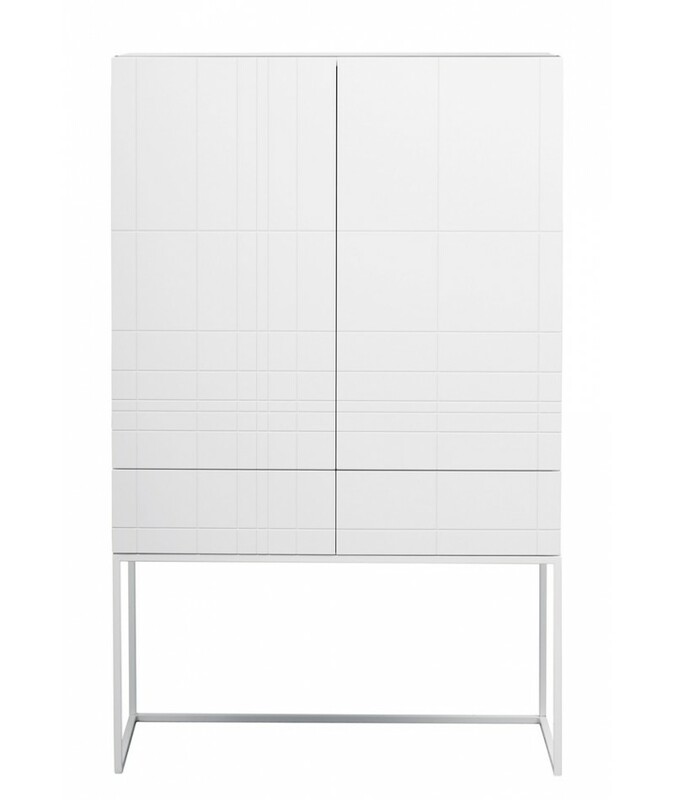 Bukato storage unit is a functional shelving system, designed to meet all storage needs. 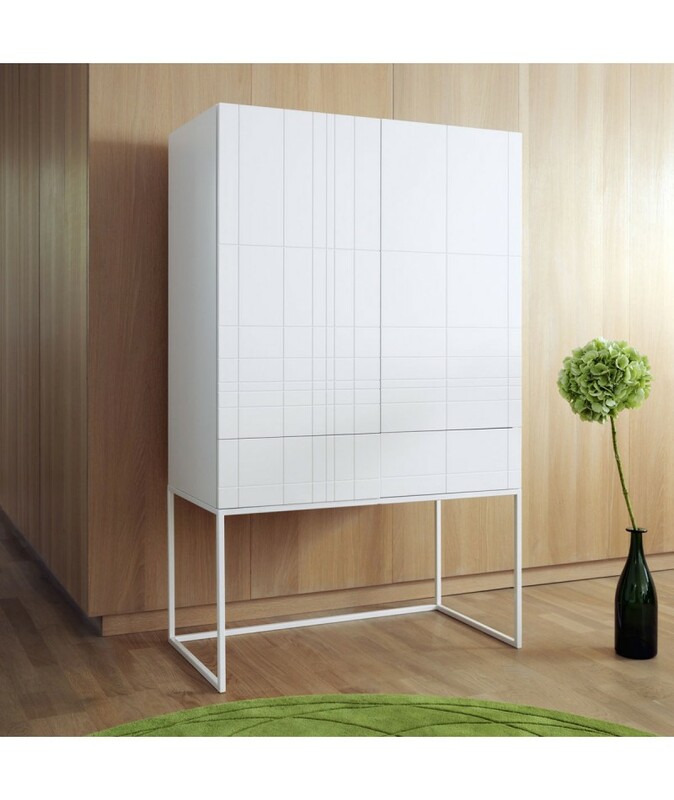 Designed in 2013, it can just as well be used as a bookcase in a living room or bedroom, as an elegant wine rack in a kitchen or cellar, and is also highly appreciated as a filing cabinet in an office. 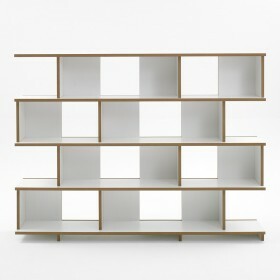 Stretchable system of shelves at the same time horizontally and vertically. Choose the right modules you need to built up your personnal shelf system ! 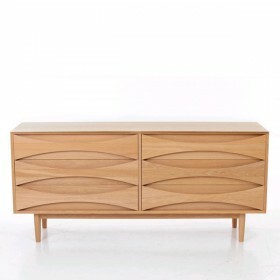 The "Double Low Boy" sideboard is a classic piece of furniture, embodying Scandinavian design of the mid-century period. 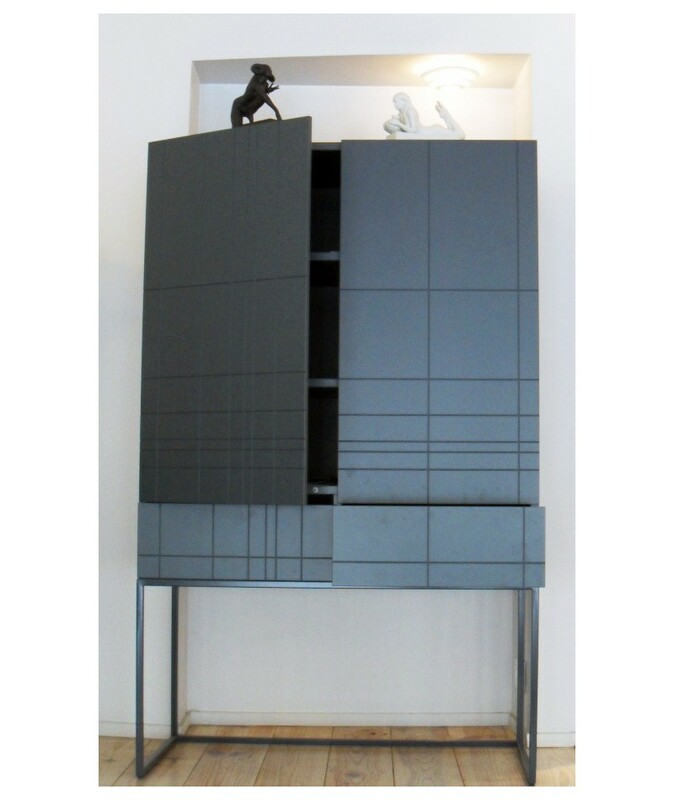 Large and sturdy, it provides a sufficient storage space. 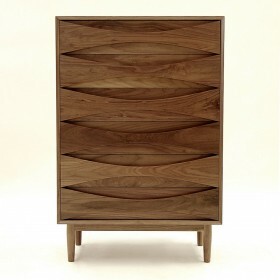 The " Tall Boy" chest of drawers is a narrow piece of furniture with a large storage capacity. 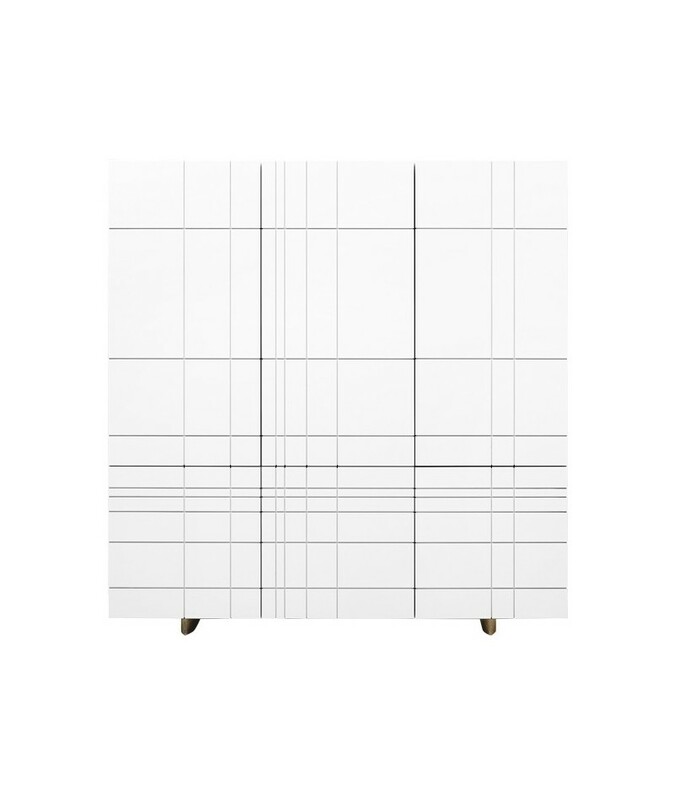 Created in 1959 by famous Danish designer Arne Vodder, this piece has become, since then, a classic embodying the mid-twentieth century Scandinavian design. The sideboard #26 is an iconic piece of furniture with a large storage capacity combining a set of 6 drowers and 2 shelving storages. 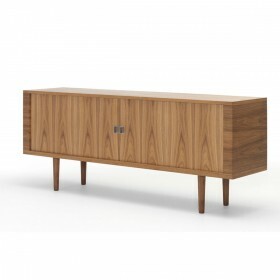 Created in 1959 by famous Danish designer Arne Vodder, this piece has become, since then, a classic embodying the mid-twentieth century Scandinavian design. 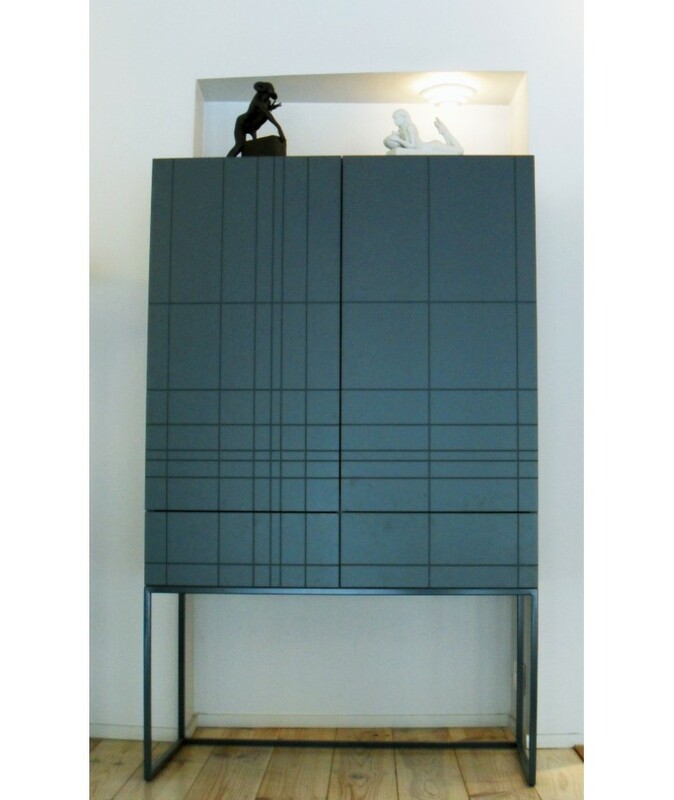 Storage unit with doors and drawers of the danish design cabinet Bykato with such a elegant style and material choice with his structure in solid wood. Design Peter J. Lassen for MONTANA. DREAM is ideal as a bedside table, but can also be used in many other rooms in your home. Montana Collection is a take on ready-made furniture solutions. Design Peter J. Lassen for MONTANA. Get a bookshelf with a colourful personality, and make it home for all your favourite things and books. Design Peter J. Lassen for MONTANA. TV cabinet on Monday, bedside table on Tuesday skateboard on Wednesday ...SKATE is colourful and flexible storage on wheels. SKATE has many uses and can change function according to your mood. 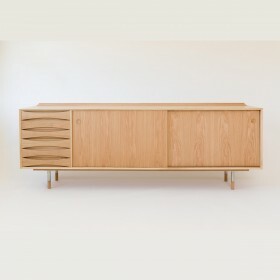 Sideboard of Hans J Wegner in veneered wood with roller shutter doors that can dissapear when opened getting the inside of the sideboard visible. 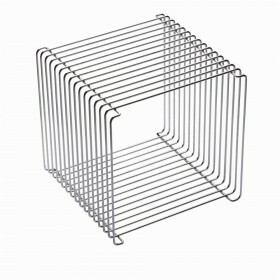 Panton cube, design Verner Panton. Kaari shelves are part of a serie of furnitures forming the collection of the same name, created by designers Ronan and Erwan Bouroullec it is elaborated around a wooden and bent steel wall bracket wich brings to the shelves a singular and light apeal. The bookshelves Books are created with a light and contemporary design, they will elegently incorporate your living-room, office or bedroom. 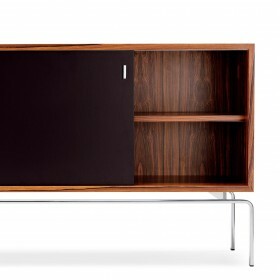 Bench tv is a tv set mounted on wheels from the danish facturer Montana. It has a hole integrated inside to allow an exit for the tv cables. 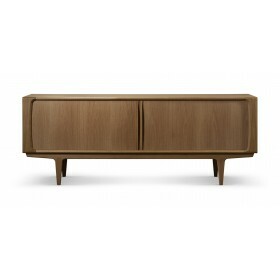 The elegant sideboard 1 from the danish manufacturer Montana is offered in various shades. 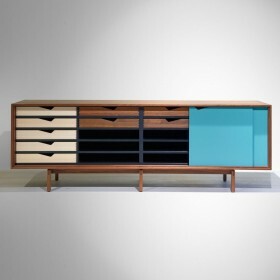 Small tv unit, TV set from the danish manufacturer Montana has two drawers and two shelves hidden behind an elegant colored grid, a hole inside allow an exit for the cables. 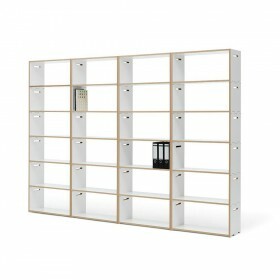 The mini line set is a low unit storage from the danish manufacturer wich can serve in many different uses. 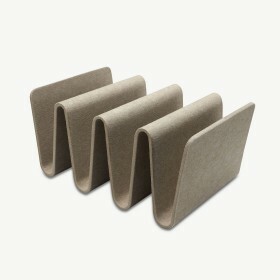 The small bedside tablemini dream is mounted on wheels and offered in a variety of shades. 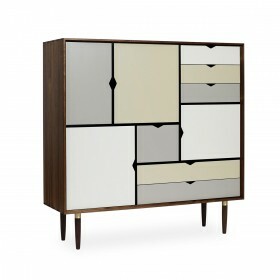 The chest of drawers Room is sobber and elegant, offered in different shades it will easilly fit in any kind of space. The Drop mirror was designed with a bending wooden ash frame. The shape of the mirror is reminiscent of a water drop or even a tennis racket. The mirror can be easily mounted on the top. This TV set allows to hide all the electronic devices when one do not use them thanks to its foldaway door. This one realized in drilled aluminium allows the use of the electronic elements remote controls, carries(wears) closed. 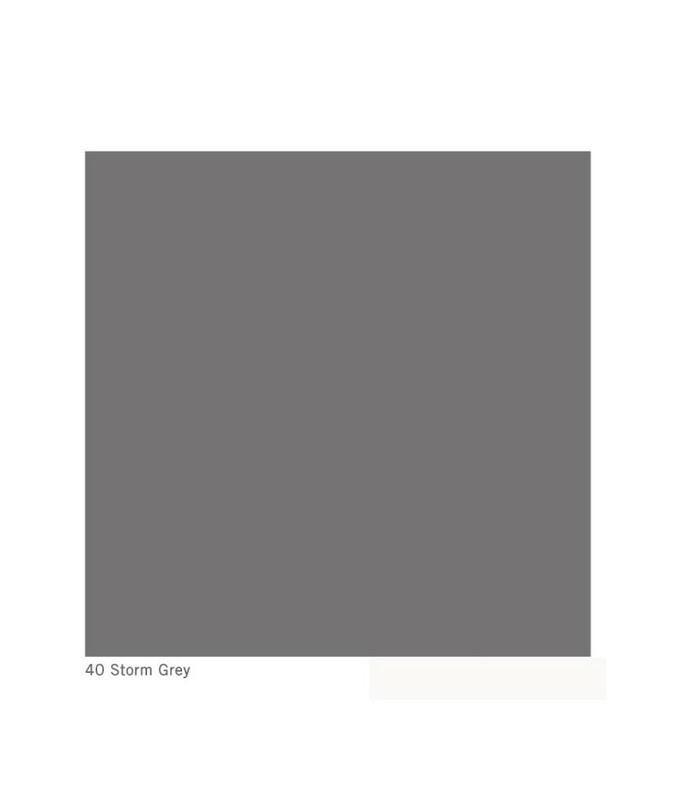 Available in 40 colors, 6 in quick ship delivery.